In 1776 two priests set out across the southwest to find a route between New Mexico and the Catholic mission in California. 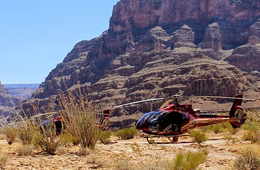 They explored parts of Utah, Colorado, and northern Arizona on their travels. Along they way, they were helped by some unexpected guides. The New World was still a work in progress when the Dominguez-Escalante expedition started in 1776. The East Coast faced political unrest and a revolution. A vast amount of the west side of the continent was claimed by Spain thanks to her adventurous, sea-going explorers. California missions like Mission San Carlos Borromeo in Monterey offered physical and spiritual support. Father Francisco Atanasio Dominguez was a native of Mexico. His Franciscan superiors commissioned him as a canonical visitor in 1774. They ordered him to evaluate the records, padres, and missions of New Mexico. Spanish-born Father Silvestre Velez de Escalante had lived in New Mexico for a time. He was asked to assist Father Escalante in finding a land route from Santa Fe, New Mexico to the new Monterey Presidio and mission in California. After discussing the matter with the Governor, they decided against a northwest route. The journey began July 29, 1776, when it was agreed the trip would include spreading religious and political information during the journey north. 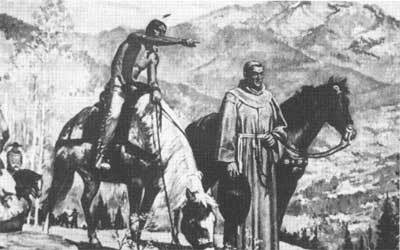 Four additional Spaniards were recruited in southwestern Colorado and two Native Americans from Utah Valley in western Colorado, where they bartered for supplies. Little was known about the 1100 miles of territory between the two points. Not even they realized the impact their expedition, journals, and professional records would make. 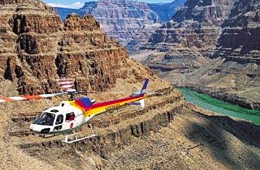 Their cartographer (mapmaker), retired military engineer Bernardo de Miera y Pacheco, outlined the details and directions of the untouched land of northern Arizona, western Colorado, and Utah. The start of the journey made use of the route documented by Juan Rivera as he traveled into southwestern Colorado’s Ute country eleven years before. 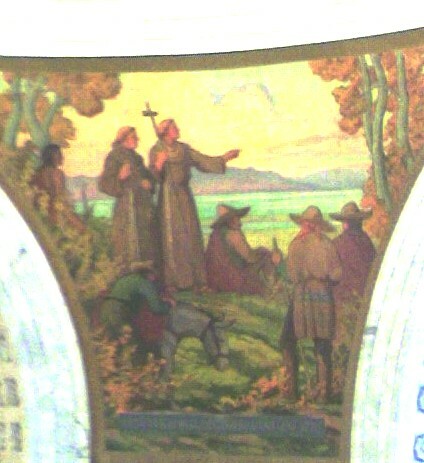 Dominguez, Escalante and Pacheco were the first Europeans to travel and record information about the continental interior of lower North America. Observations told of rivers with possible precious metals, a bounty of forest and game, and ruins of stone cities. However, it took little time before the group was in unchartered territory where they could only depend on gut feelings and the grace of God. September 12 found the explorers traveling through unknown territory as they approached the future Utah border and Dinosaur National Monument. Guides Silvestre and Joaquin continued to direct the party towards their home territory in Utah Valley, past the Green, Duchesne and Strawberry Rivers. After descending to the Spanish Fork River, they climbed higher and observed the Timpanogot area which their guides called home. Imagine the excitement at seeing forests with plentiful game, trees for lumber and firewood, and bountiful fish in the rivers. The fertile land and enormous valley promised an ideal settlement. The party left the area and moved southwest on September 25. Small bands of friendly Native Americans helped as they moved through the future areas of Payson, Levan, and Scipio. At that point, drinking water and pasture for the animals tapered off. The salty water made the horses and mules sick. Their newest guide left them as they neared Utah’s Beaver River Valley, and only the young Joaquin was left to guide and advise them. Snow and rain prevented further travel for several days. There was no wood to burn for warmth and they deduced they were going the wrong direction. Conditions improved as the Dominguez-Escalante expedition turned south towards Milford and a return to Santa Fe. The animals drank their fill of salt-free water and ate the rich grasses. Another tribe led the party to an area near what is now Pintura. Moving further south towards Hurricane and the future Arizona border, the group travelled part of the Mojave Desert. 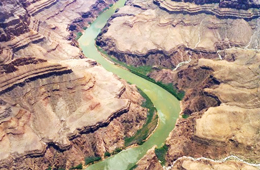 An attempt to reach the Colorado River stopped before it started as local Native Americans told them about the deep, enormous canyon that prevented access to the river. Tired, sick and hungry, they traveled east towards Diamond Butte, crossing between Utah and Arizona, including Glen Canyon. The last week of October and first week of November led them past what is now Lees Ferry to a ford they could use to cross the Colorado River after they carved steps into the canyon wall. Named “Crossing of the Fathers”, the area was later covered by Lake Powell. The expeditionary party struggled for survival in the bitter cold. Food and water were limited, and good trails were hard to find. They found food and shelter at a Hopi pueblo in mid-November, giving them strength to continue through northwest New Mexico and reach Santa Fe January 2, 1777.